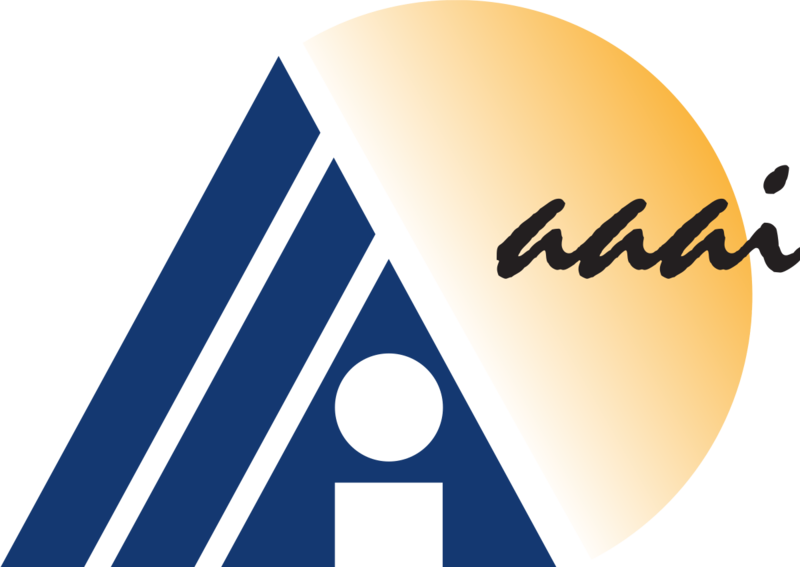 12/07/2018: Professor Luo is elevated to Fellow of AAAI (Association for Advancement of Artificial Intelligence) for “significant contributions to the fields of computer vision and data mining, and particularly pioneering work in on multimodal understanding for sentiment analysis, computational social science, and digital health." populations in research, and accelerate the development of new treatments for Parkinson’s disease. two papers (both with early acceptance) at MICCAI 2018.
for an artificial intelligence rollout of smart cities. “Here's How Big Data Transformation Will Sweep Information Sovereignty"
02/24/2017: Professor Luo's Data Mining course was considered "favorite class taken at the University of Rochester"
Please note that the projects are flexible and the current descriptions are meant as examples. 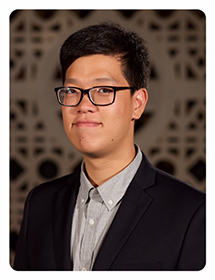 08/29/2016: Congratulations to Tianran Hu who receives a student travel scholarship to attend CIKM 2016. 07/19/2016: URCS is among the Top 20 Artificial Intelligence Engineering Schools in the U.S.
Public Perception During Epidemic Outbreak.” Congratulations! UC Berkeley, University of Toronto/Montreal, and other power houses. Full Story. Ph.D. students from the Asia-Pacific region and the U.S."
12/15/2014: ICDM Tutorial on "Social Multimedia as Sensors"
08/28/2014: Guess how many students I currently advise? 09/19/2012: "Computer Vision with a Third Eye"
02/25/2012: Professor Luo will co-chair the IEEE CVPR 2012 Area Chair meeting in Long Beach, CA. 12/08/2011: Professor Luo will serve on the program committee for both the research track and industry track of the 2012 ACM SIGKDD conference. 09/06/2011: I am looking for two self-motivated PhD students to join my research group in Fall 2012 to work in the areas of computer vision and social media data mining. Applicants are expected to have strong skills in both programming and mathematics. Related research publications in ranked venues of computer vision, machine learning, or data mining is a plus . To apply, check http://www.cs.rochester.edu/education/phd-program. 09/01/2011: Professor Luo joined the CS Department after a prolific career of 15+ years at Kodak Research Labs. 09/01/2011: Professor Luo will co-chair the Third ACM SIGMM Workshop on Social Media (WSM2011) in conjunction with ACM Multimedia 2011. 09/01/2011: A feature article on "Aesthetics and Emotions in Images: A Computational Perspective" is published in the IEEE Signal Processing Magazine. 09/01/2011: A mini book on Interactive Co-segmentation of Objects in Image Collections (SpringerBriefs in Computer Science) by Dhruv Batra, Adarsh Kowdle, Devi Parikh, Jiebo Luo, and Tsuhan Chen is available for pre-order. 03/2011: iCoseg among top downloaded articles from IJCV in the last 30 days. Jiebo Luo joined the University of Rochester in Fall 2011 after over fifteen prolific years at Kodak Research Laboratories, where he was a Senior Principal Scientist leading research and advanced development. He has been involved in numerous technical conferences, including serving as the program co-chair of ACM Multimedia 2010, IEEE CVPR 2012 and IEEE ICIP 2017. He has served on the editorial boards of the IEEE Transactions on Pattern Analysis and Machine Intelligence, IEEE Transactions on Multimedia, IEEE Transactions on Circuits and Systems for Video Technology, ACM Transactions on Intelligent Systems and Technology, Pattern Recognition, Machine Vision and Applications, and Journal of Electronic Imaging. Dr. Luo is a Fellow of the SPIE, IAPR, IEEE, ACM, and AAAI. In addition, he is a Board Member of the Greater Rochester Data Science Industry Consortium. 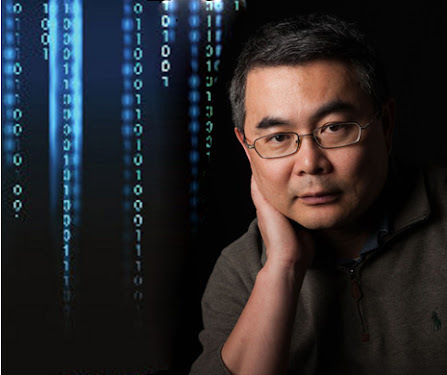 His research spans image processing, computer vision, machine learning, data mining, social media, biomedical informatics, and ubiquitous computing. He is a pionneer for contextual inference in semantic understanding of visual data, and social multimedia data mining. He has published extensively in these fields with nearly 400 peer-reviewed technical papers and over 90 US patents. His H-Index is currently 76. Yang Feng, Lin Ma, Wei Liu, Jiebo Luo, “Unsupervised Image Captioning,” IEEE Conference on Computer Vision and Pattern Recognition (CVPR), Long Beach, CA, June 2019. Yang Feng, Lin Ma, Wei Liu, Jiebo Luo, “Spatio-temporal Video Re-localization by Warp LSTM,” IEEE Conference on Computer Vision and Pattern Recognition (CVPR), Long Beach, CA, June 2019. Wei Xiong, Jiahui Yu, Zhe Lin, Jimei Yang, Xin Lu, Connelly Barnes, Jiebo Luo, “Foreground-aware Image Inpainting,” IEEE Conference on Computer Vision and Pattern Recognition (CVPR), Long Beach, CA, June 2019. Wenbin Li, Lei Wang, Jinglin Xu, Jing Huo, Yang Gao and Jiebo Luo, “Revisiting Local Descriptor based Image-to-Class Measure for Few-shot Learning,” IEEE Conference on Computer Vision and Pattern Recognition (CVPR), Long Beach, CA, June 2019. Mengshi Qi*, Weijian Li*, Zhengyuan Yang, Yunhong Wang, Jiebo Luo, “Attentive Relational Networks for Mapping Images to Scene Graphs,” IEEE Conference on Computer Vision and Pattern Recognition (CVPR), Long Beach, CA, June 2019. Heliang Zheng, Jianlong Fu, Zheng-Jun Zha, Jiebo Luo, “Looking for the Devil in the Details: Learning Trilinear Attention Sampling Network for Fine-grained Image Recognition,” IEEE Conference on Computer Vision and Pattern Recognition (CVPR), Long Beach, CA, June 2019. Liheng Zhang, Guo-Jun Qi, Liqiang Wang, Jiebo Luo, “AET vs. AED: Unsupervised Representation Learning by Auto-Encoding Transformations rather than Data,” IEEE Conference on Computer Vision and Pattern Recognition (CVPR), Long Beach, CA, June 2019. Jingyuan Chen, Lin Ma, Wei Liu, Jiebo Luo, “Localizing Natural Language in Videos,” The 33rd AAAI Conference on Artificial Intelligence (AAAI), Honolulu, HI, February 2019. Wenbin Li, Jing Huo, Yinghuan Shi, Yang Guo, Lei Wang, Jiebo Luo, “Distribution Consistency based Covariance Metric Networks for Few Shot Learning,” The 33rd AAAI Conference on Artificial Intelligence (AAAI), Honolulu, HI, February 2019. Mingkun Yang, Yongchao Xu, Xiang Bai, Jiebo Luo, “Integrating Scene Text and Visual Appearance for Fine-Grained Image Classification,” IEEE Access, in IEEE Xplore. Zhengyuan Yang, Yuncheng Li, Jianchao Yang, and Jiebo Luo, “Action Recognition with Spatio-Temporal Visual Attention on Skeleton Image Sequences,” IEEE Transactions on Circuits and Systems for Video Technology, in IEEE Xplore. Wenbin Li, Jing Huo, Yinghuan Shi, Yang Guo, Lei Wang, Jiebo Luo, “A Joint Local and Global Deep Learning Method for Caricature Recognition,” Asian Conference on Computer Vision (ACCV), Perth, Australia, December 2018. Haofu Liao, Gareth Funka-Lea, Yefeng Zheng, Kevin Zhou, Jiebo Luo, “Face Completion with Semantic Knowledge and Collaborative Adversarial Learning,” Asian Conference on Computer Vision (ACCV), Perth, Australia, December 2018. Tianlang Chen, Zhongping Zhang, Quanzeng You, Chen Fang, Zhaowen Wang, Hailin Jin, Jiebo Luo, “Factual or Emotional: Stylized Image Captioning with Adaptive Learning and Attention,” European Conference on Computer Vision (ECCV), Munich, Germany, September 2018. Yang Feng, Lin Ma, Wei Liu, Tong Zhang, Jiebo Luo, “Video Re-localization via Cross Gated Bilinear Matching,” European Conference on Computer Vision (ECCV), Munich, Germany, September 2018. Qing Li, Qingyi Tao, Shafiq Joty, Jianfei Cai, Jiebo Luo, “VQA-E: Explaining, Elaborating, and Enhancing Your Answers for Visual Questions,” European Conference on Computer Vision (ECCV), Munich, Germany, September 2018. Mengshi Qi, Jie Qin, Annan Li, Yunhong Wang, Jiebo Luo, Luc Van Gool, “stagNet: An Attentive Semantic RNN for Group Activity Recognition,” European Conference on Computer Vision (ECCV), Munich, Germany, September 2018. Xiaobai Liu, Qian Xu, Jingjie Yang, Jacob Thalman, Shuicheng Yan, and Jiebo Luo, “Learning Multi-Instance Deep Ranking and Regression Network for Visual House Appraisal,” IEEE Transactions on Knowledge and Data Engineering (TKDE) 30(8): 1496-1506, 2018. Zhongping Zhang, Yixuan Zhang, Zheng Zhou, Jiebo Luo, “Boundary-based Image Forgery Detection by Fast Shallow CNN,” IAPR/IEEE International Conference on Pattern Recognition (ICPR), Beijing, China, August 2018. Viet-Duy Nguyen, Minh Tran, Jiebo Luo, "Are French Really That Different? Recognizing Europeans from Faces Using Data-Driven Learning," IAPR/IEEE International Conference on Pattern Recognition (ICPR), Beijing, China, August 2018. Quanzeng You, Zhengyou Zhang, Jiebo Luo, “End-to-end Convolutional Semantic Embeddings,” IEEE Conference on Computer Vision and Pattern Recognition (CVPR), Salt Lake City, UT, June 2018. Wei Xiong, Wenhan Luo, Lin Ma, Wei Liu, Jiebo Luo, “Learning to Generate Time-Lapse Videos Using Multi-Stage Dynamic Generative Adversarial Networks,” IEEE Conference on Computer Vision and Pattern Recognition (CVPR), Salt Lake City, UT, June 2018. Gui-Song Xia, Xiang Bai, Jian Ding, Serge Belongie, Jiebo Luo, Mihai Datcu, Marcello Pelillo, Liangpei Zhang, “DOTA: A Large-scale Dataset for Object Detection in Aerial Images,” IEEE Conference on Computer Vision and Pattern Recognition (CVPR), Salt Lake City, UT, June 2018. Xinpeng Chen, Jingyuan Chen, Lin Ma, Jian Yao, Wei Liu, Jiebo Luo and Tong Zhang, “Fine-grained Video Attractiveness Prediction Using Multimodal Deep Learning on a Large Real-world Dataset,” The Web Conference (WWW), Lyon, France, April 2018. Yu Wang, Haofu Liao, Yang Feng, Xiangyang Xu, Jiebo Luo, “Do They All Look the Same? Deciphering Chinese, Japanese and Koreans by Fine-Grained Deep Learning,” IEEE International Conference on Multimedia Information Processing and Retrieval, Miami, FL, April 2018. Tianlang Chen, Chenliang Xu, Jiebo Luo, “Improving Text-based Person Search by Spatial Matching and Adaptive Threshold,” Winter Conference on Computer Vision (WACV), Lake Tahoe, NV, March 2018. Xitong Yang, Jiebo Luo, "Towards Perceptual Image Dehazing by Physics-based Disentanglement and Adversarial Training", The 32nd AAAI Conference on Artificial Intelligence (AAAI), New Orleans, LA, February 2018. Jingyi Hou, Xinxiao Wu, Jiebo Luo, "Unsupervised Deep Learning of Mid-Level Video Representation for Action Recognition," The 32nd AAAI Conference on Artificial Intelligence (AAAI), New Orleans, LA, February 2018. Yang Cong, Ji Liu, Jiebo Luo, “User Attribute Discovery with Missing Labels,” Pattern Recognition 73: 33-46, 2018. Xiangyang Xu, Yuncheng Li, Gangshan Wu and Jiebo Luo, “Multi-modal Deep Feature Learning for RGB-D Object Detection,” Pattern Recognition 72: 300-313, 2017. Lifang Wu, Shuang Liu, Meng Jian, Jiebo Luo, Xiuzhen Zhang, Mingchao Qi, “Reducing Noisy Labels on Weakly Labeled Data for Visual Sentiment Analysis,” International Conference on Image Processing (ICIP), Beijing, China, September 2017. Yuncheng Li, Liangliang Cao, Jiebo Luo, “Mining Fashion Outfit Composition Using an End-to-End Deep Learning Approach on Set Data,” IEEE Trans. on Multimedia, 19(8): 1946-1955(2017). Yanhao Zhang, Lei Qin, Rongrong Ji, Qingming Huang, Jiebo Luo, “Exploring Coherent Motion Patterns via Structured Trajectory Learning for Crowd Mood Modeling,” IEEE Transactions on Circuits and Systems for Video Technology, 27(3): 635-648 (2017). Fei Wu, Zhuhao Wang, Weiming Lu, Xi Li, Yi Yang, Jiebo Luo, Yueting Zhuang, “Regularized Deep Belief Network for Image Attribute Detection,” IEEE Transactions on Circuits and Systems for Video Technology, 27(7): 1464-1477, 2017. Qing Li, Zhaofan Qiu, Ting Yao, Tao Mei, Yong Rui, Jiebo Luo, “Learning hierarchical video representation for action recognition," International Journal of Multimedia Information Retrieval, 6(1): 85-98, 2017. Quanzeng You, Liangliang Cao, Jiebo Luo, “Image Based Appraisal of Real Estate Properties,” IEEE Transactions on. Multimedia, in press. Xitong Yang, Sriganesh Madhvanath, Edgar A. Bernal, Palghat Ramesh, Radha Chitta, Jiebo Luo, “Deep Multimodal Representation Learning from Temporal Data,” IEEE Conference on Computer Vision and Pattern Recognition (CVPR), Hawaii, July 2017. Marko Stamenovic, Jiebo Luo, “Machine Identification of High Impact Research through Text and Image Analysis,” IEEE Big Multimedia Conference, Laguna Hills, CA, April 2017. Quanzeng You, Hailin Jin, Jiebo Luo, “Visual Sentiment Analysis by Attending on Local Image Regions”, The 31st AAAI Conference on Artificial Intelligence (AAAI), San Francisco, CA, February 2017. Songhe Feng, Congyan Lang, Jiashi Feng and Jiebo Luo, “Human Facial Age Estimation by Cost-Sensitive Label Ranking and Trace Norm Regularization,” IEEE Trans. on Multimedia, 19(1): 136-148, 2017. Yang Cong, Ji Liu, Gan Sun, Quanzheng You, Yuncheng Li and Jiebo Luo, “Adaptive Greedy Dictionary Selection for Web Media Summarization,” IEEE Trans. on Image Processing, 26(1): 185-195, 2017. Yang Feng, Yuncheng Li, Jiebo Luo, "Learning Effective Gait Features Using LSTM", International Conference on Pattern Recognition (ICPR), Cancun, Mexico, December 2016. Iftekhar Naim, Abdullah Al Mamun, Young Chol Song, Jiebo Luo, Henry Kautz, Daniel Gildea, "Aligning Movies with Scripts by Exploiting Temporal Ordering Constraints", International Conference on Pattern Recognition (ICPR), Cancun, Mexico, December 2016. Yanhao Zhang, Lei Qin, Rongrong Ji, Sicheng Zhao, Qingming Huang, Jiebo Luo, "Exploring Coherent Motion Patterns via Structured Trajectory Learning for Crowd Mood Modeling", IEEE Transactions on Circuits and Systems for Video Technology, 2016. Quanzeng You, Liangliang Cao, Hailin Jin, Jiebo Luo, "Robust Visual-Textual Sentiment Analysis: When Attention meets Tree-structured Recursive Neural Networks", ACM Multimedia Conference, Amsterdam, The Netherlands, October 2016. Tianliang Liu, Xincheng Wang, Xiubin Dai, Jiebo Luo, "Deep Recursive and Hierarchical Conditional Random Fields for Human Action Recognition," IEEE Winter Conference on Applications of Computer Vision (WACV), Lake Placid, NY, March 2016. Liang Lin, Keze Wang, Wangmeng Zuo, Meng Wang, Lei Zhang, Jiebo Luo, “Deep Reconfigurable Models with Radius-Margin Bound for 3D Human Activity Recognition,” International Journal of Computer Vision, available online. Xinyang Cai, Wengang Zhou, Houqiang Li, Jiebo Luo, Lei Wu, “Effective Kinetic Skeleton Representation for Low Latency Human Action Recognition,” IEEE Trans. Multimedia, available online. Yuning Jiang, Jingjing Meng, Junsong Yuan, Jiebo Luo, "Randomized Spatial Context for Object Search," IEEE Trans. on Image Processing, 24(6): 1748-1762, 2015. Wu Liu, Tao Mei, Yongdong Zhang, Cherry Che and Jiebo Luo, “Multi-Task Deep Visual-Semantic Embedding for Video Thumbnail Selection,” IEEE International Conference on Computer Vision and Pattern Recognition (CVPR), Boston, MA, June 2015. Wanying Ding, Junhuan Zhu, Lifan Guo, Xiaohua Hu, Jiebo Luo, Haohong Wang, “Jointly Image Topic and Emotion Detection using Multi-Modal Hierarchical Latent Dirichlet Allocation,” Journal of Multimedia Information System, 2015. Yang Cong, Ji Liu, Jiebo Luo, "Speeded up Low Rank Online Metric Learning for Object Tracking," IEEE Transactions on Circuits and Systems for Video Technology, 2015. Young Chol Song, Henry Kautz, James Allen, Mary Swift, Yuncheng Li, Jiebo Luo, "A Markov Logic Framework for Recognizing Complex Events from Multimodal Data," ACM International Conference on Multimodal Interaction (ICMI), Sidney, Australia, December 2013. Yao Zhou and Jiebo Luo, "A Practical Method for Counting Arbitrary Target Objects in an Arbitrary Scene," IEEE ICME, July 2013. Congyan Lang, Jiashi Feng, Guangcan Liu, Jinghui Tang, Shuicheng Yan and Jiebo Luo, "Improving Bottom-up Saliency Detection by Looking into Neighbors," IEEE Transactions on Circuits and Systems for Video Technology, 23(6): 1016-1028, June 2013. Minwoo Park, Jiebo Luo, Andrew Gallagher, Majid Rabbani, “Learning to Produce 3D Media from a Captured 2D Video,” IEEE Transactions on Multimedia, 15(7): 1569-1578, 2013. Hua Wang, Dhiraj Joshi, Jiebo Luo, and Heng Huang, "Simultaneous Image Annotation and Geo-Tag Prediction via Correlation Guided Structured Multi-Task Learning," IEEE Symposium on Multimedia (ISM), December 2012. Jianchao Yang, Jiebo Luo, Jie Yu, Thomas. Huang, “Photo Stream Alignment and Summarization for Collaborative Photo Collection and Sharing,” IEEE Transactions on Multimedia, 14(6): 1642-1651, December 2012. Youjie Zhou, Jiebo Luo, " Geo-Location Inference on News Articles via Multimodal pLSA," ACM Multimedia Conference, Nara, Japan, October 2012. Lin Chen, Dong Xu, Ivor Tsang, and Jiebo Luo for the paper entitled, "Tag-Based Image Retrieval Improved by Augmented Features and Group-Based Refinement", IEEE Transactions on Multimedia, Volume 14, Number 4, August 2012 (2014 IEEE Multimedia Prize Paper Award). Minwoo Park, Jiebo Luo, Andrew Gallagher, “Towards Assessing and Improving the Quality of Stereo Images,” Special Issue on Emerging Techniques in 3D, IEEE Journal of Selected Topics in Signal Processing, 6(5): 460 - 470, 2012. Siyu Xia, Ming Shao, Jiebo Luo, and Yun Fu, “Understanding Kin Relationships in a Photo,” Special Issue on Learning Semantics from Multimedia Web Resources, IEEE Transactions on Multimedia, 14(4): 1046-1056, 2012. Lin Chen, Dong Xu, Ivor W. Tsang, Jiebo Luo, “Tag-based Image Retrieval Improved by SVM with Augmented Features and Group-based Refinement,” Special Issue on Learning Semantics from Multimedia Web Resources, IEEE Transactions on Multimedia, 14(4): 1057-1067, 2012. Cong Yang, Junsong Yuan, Jiebo Luo, “Towards Scalable Summarization of Consumer Videos via Sparse Dictionary Selection,” Special Issue on Object and Event Classification in Large-Scale Video Collections, IEEE Transactions on Multimedia, 14(1): 66-75, February 2012. Dhiraj Joshi, Ritendra Datta, Elena Fedorovskaya, Jia Li, James Z. Wang, Jiebo Luo, “Computational inference of aesthetics, mood, and emotion in images,” IEEE Signal Processing Magazine, 28(5): 94-115, September 2011. Yiming Liu, Dong Xu, Ivor Tsang, Jiebo Luo, "Textual query of personal photos facilitated by large-scale web data," IEEE Transactions on Pattern Analysis and Machine Intelligence, 33(5): 1022-1036, May 2011. Minwoo Park, Jiebo Luo, Robert Collions, Yanxi Liu, "Beyond GPS: Determining the viewing direction of a geotagged image," ACM Multimedia Conference, Firenze, Italy, October 2010. Xiaobai Liu, Shuicheng Yan, Jiebo Luo, Jinhui Tang, ZhongYang Huang, Hai Jin, "Nonparametric Label-to-Region by Search," CVPR 2010. Yi Wang, Nan Xue, Xin Fan, Jiebo Luo, Risheng Liu, Haojie Li, Bin Chen, Zhongxun Luo, “Fast factorization-free Kernel Learning for Unlabeled Chunk Data Streams,” International Joint Conference on Artificial Intelligence (IJCAI), Stockholm, Sweden, July 2018. Xiaotong Zhang, Xianchao Zhang, Han Liu, Jiebo Luo, “Multi-Task Clustering with Model Relation Learning,” International Joint Conference on Artificial Intelligence (IJCAI), Stockholm, Sweden, July 2018. Yang Cong, Ji Liu, Jiebo Luo, “Sparse Low-rank Online Similarity Learning,” IEEE Transactions on Cybernetics, 73: 33-46, 2018. Yang Cong, Ji Liu, Jiebo Luo, “Online Similarity Learning for Big Data with Overfitting,” IEEE Transactions on Big Data, 4(1): 78-89, 2018. Jianbo Yuan, Han Guo, Zhiwei Jin, and Jiebo Luo, “One-shot Learning for Fine-grained Relation Extraction via Convolutional Siamese Neural Network,” IEEE Big Data Conference, Boston, MA, December 2017. Yuncheng Li, Jianchao Yang, Yale Song, Liangliang Cao, Jia Li and Jiebo Luo, “Learning from Noisy Labels with Distillation,” International Conference on Computer Vision (ICCV), Venice, Italy, October 2017. Guo-Jun Qi, Jiliang Tang, Jingdong Wang and Jiebo Luo, “Mixture Factorized Ornstein-Uhlenbeck Processes for Time-Series Forecasting,” ACM SIGKDD Conference on Knowledge Discovery and Data Mining (KDD), Nova Scotia, Canada, August 2017. Yuncheng Li, Yale Song, Jiebo Luo, “Improving Pairwise Ranking for Multi-label Image Classification,” IEEE Conference on Computer Vision and Pattern Recognition (CVPR), Hawaii, July 2017. Yi Wang, Xin Fan, Maomao Min, Jiebo Luo, “Fast Online Incremental Learning on Mixture Streaming Data,” The 31st AAAI Conference on Artificial Intelligence (AAAI), San Francisco, CA, February 2017. Xianchao Zhang, Haixing Li, Wenxin Liang, Jiebo Luo, “Multi-Type Co-clustering of General Heterogeneous Information Networks,” IEEE International Conference on Data Mining (ICDM), December 2016. Young Chol Song, Iftekhar Naim, Abdullah Al Mamun, Kaustubh Kulkarni, Parag Singla, Jiebo Luo, Daniel Gildea and Henry Kautz, “Unsupervised Alignment of Actions in Video with Text Descriptions,” AAAI International Joint Conference on Artificial Intelligence (IJCAI), New York City, July 2016. Iftekhar Naim, Young Chol Song, Henry Kautz, Jiebo Luo, Qiguang Liu, Daniel Gildea, and Liang Huang, "Discriminative Unsupervised Alignment of Natural Language Instructions with Corresponding Video Segments," North American Chapter of the Association for Computational Linguistics (NAACL), 2015. Iftekhar Naim, Young Song, Daniel Gildea, Qiguang Liu, Henry Kautz and Jiebo Luo, "Unsupervised Alignment of Natural Language Instructions with Video Segments," the Twenty-Eighth AAAI Conference on Artificial Intelligence (AAAI), Quebec City, Canada, July 27-31, 2014. Yang Cong, Ji Liu, Junsong Yuan, Jiebo Luo, "Self-Supervised Online Metric Learning With Low Rank Constraint for Scene Categorization." IEEE Transactions on Image Processing, 22(8): 3179-3191, 2013. Liangliang Cao, Xin Jin, Zhijun Yin, Andrey Del Pozo, Jiebo Luo, Jiawei Han, Thomas S. Huang, "RankCompete: Simultaneous ranking and clustering of information networks," Neurocomputing, 95: 98-104, 2012. Zhongping Zhang, Tianlang Chen, Zheng Zhou, Jiaxin Li, and Jiebo Luo, “How to Become Instagram Famous: Post Popularity Prediction with Dual-Attention,” IEEE International Conference on Big Data, Seattle, WA, December 2018. Tianlang Chen, Yuxiao Chen, Han Guo, and Jiebo Luo, “You Type a Few Words and We Do the Rest: Image Recommendation for Social Multimedia Posts,” IEEE International Conference on Big Data, Seattle, WA, 2018. Benjamin Kane and Jiebo Luo, “Do the Communities We Choose Shape our Political Beliefs? A Study of the Politicization of Topics in Online Social Groups,” International Workshop on Big Social Media Data Management and Analysis, IEEE International Conference on Big Data, Seattle, WA, December 2018. Yuxiao Chen*, Jianbo Yuan*, Quanzeng You, Jiebo Luo, "Twitter Sentiment Analysis via Bi-sense Emoji Embedding and Attention-based LSTM," ACM Multimedia Conference, Seoul, Korea, October 2018. Xuefeng Peng, Li-Kai Chi and Jiebo Luo, “The Effect of Pets on Happiness: A Large-scale Multi-Factor Analysis using Social Multimedia,” ACM Transactions on Intelligent Systems and Technology (TIST) 9(5), 2018. Weijian Li*, Yuxiao Chen*, Tianran Hu, and Jiebo Luo, “Mining the Relationship between Emoji Usage Patterns and Personality,” AAAI International Conference on Web and Social Media (ICWSM), Stanford, CA, June 2018. Tianlang Chen, Yuxiao Chen, Han Guo and Jiebo Luo, “When E-commerce Meets Social Media: Identifying Business on WeChat Moment Using Bilateral-Attention LSTM,” The Web Conference (WWW), Lyon, France, April 2018. Peijun Zhao, Jia Jia, Lexing Xie, Yongsheng An and Jiebo Luo, “Analyzing and Predicting Emoji Usages in Social Media,” The Web Conference (WWW), Lyon, France, April 2018. Yiming Pan, Xuefeng Peng, Tianran Hu, and Jiebo Luo, “Understanding What affects Career Progression Using LinkedIn and Twitter Data,” Special Session on Intelligent Data Mining, IEEE Big Data Conference, Boston, MA, December 2017. Xuefeng Peng, Yiming Pan, and Jiebo Luo, “Predicting High Taxi Demand Regions Using Social Media Check-ins,” Special Session on Intelligent Data Mining, IEEE Big Data Conference, Boston, MA, December 2017. Zhiwei Jin, Juan Cao, Han Guo, Yongdong Zhang, Yu Wang and Jiebo Luo, “Multimodal Fusion with Recurrent Neural Networks for Rumor Detection on Microblogs,” ACM Multimedia Conference, Mountain View, CA, October 2017. Yu Wang, Jiebo Luo and Xiyang Zhang, “When Follow is Just One Click Away: Understanding Twitter Follow Behavior in the 2016 U.S. Presidential Election,” International Conference on Social Informatics (SocInfo), Oxford, England, Sept. 2017. Yu Wang, Yang Feng and Jiebo Luo, “How Polarized Have We Become? A Multimodal Classification of Trump Followers and Clinton Followers,” International Conference on Social Informatics (SocInfo), Oxford, England, Sept. 2017. Zhiwei Jin, Juan Cao, Han Guo, Yongdong Zhang, Yu Wang and Jiebo Luo, “Detection and Analysis of 2016 US Presidential Election Related Rumors on Twitter,” International Conference on Social Computing, Behavioral-Cultural Modeling & Prediction and Behavior Representation in Modeling and Simulation (SBP-BRiMS), Washington, DC, July 2017. Yu Wang and Jiebo Luo, “Inferring Follower Preferences with Sparse Learning,” International Conference on Social Computing, Behavioral-Cultural Modeling & Prediction and Behavior Representation in Modeling and Simulation (SBP-BRiMS), Washington, DC, July 2017. Yu Wang and Jiebo Luo, “Gender Politics in the 2016 Presidential Election: A Computer Vision Approach,” International Conference on Social Computing, Behavioral-Cultural Modeling & Prediction and Behavior Representation in Modeling and Simulation (SBP-BRiMS), July 2017. Quanzeng You, Jungseock Joo, Dario Garcia Garcia, Jiebo Luo, “Cultural Dynamics and Trends in Facebook Photographs,” AAAI International Conference on Web and Social Media (ICWSM), Montreal, Canada, May 2017. Tianran Hu, Han Guo, Hao Sun, Thuy-vy Thi Nguyen, Jiebo Luo, “Spice up Your Chat: The Intentions and Sentiment Effects of Using Emojis,” AAAI International Conference on Web and Social Media (ICWSM), Montreal, Canada, May 2017. Tianran Hu, Ruihua Song, Xing Xie, Maya Abtahian, Philip Ding and Jiebo Luo, “A World of Difference: Divergent Word Interpretations among People,” AAAI International Conference on Web and Social Media (ICWSM), Montreal, Canada, May 2017. Rijul Magu, Kshitij Joshi and Jiebo Luo, “Decoding the Hate Code on Social Media,” AAAI International Conference on Web and Social Media (ICWSM), Montreal, Canada, May 2017. Yu Wang and Jiebo Luo, "Tactics and Tallies: A Study of the 2016 U.S. Presidential Campaign Using Twitter 'Likes'," AAAI International Conference on Web and Social Media (ICWSM), Second International Workshop on News and Public Opinion, Montreal, Canada, May 2017. Kuan-Ting Chen and Jiebo Luo, "When Fashion Meets Big Data: Discriminative Mining of Best Selling Clothing Features," World Wide Web Conference (WWW), Perth, Australia, April 2017. Tianlang Chen, Yuxiao Chen and Jiebo Luo, "A Selfie is Worth a Thousand Words: Mining Personal Patterns behind User Selfie-posting Behaviours," World Wide Web Conference (WWW), Perth, Australia, April 2017. Tianran Hu, Eric Biglow, Henry Kautz, and Jiebo Luo, “Tales of Two Cities: Using Social Media to Understand Idiosyncratic Lifestyles in Distinctive Metropolitan Areas,” Special Issue on Big Media Data: Understanding, Search, and Mining, IEEE Transactions on Big Data, 3(1): 55-66, 2017. Yiheng Zhou, Numair Sani, and Jiebo Luo, “Fine-grained Mining of Illicit Drug Use Patterns Using Social Multimedia Data from Instagram,” Special Session on Intelligent Data Mining," IEEE International Conference on Big Data (Big Data), Washington, DC, December 2016. Jianbo Yuan, Walid Shalaby, Mohammed Korayem, David Lin, Khalifeh AlJadda and Jiebo Luo, "Solving Cold Start Problem in Large-scale Recommendation Engines: A Deep Learning Approach," IEEE International Conference on Big Data (Big Data), 2016. Yuchen Wu, Jianbo Yuan, Quanzeng You, and Jiebo Luo, "The Effect of Pets on Happiness: A Data-Driven Approach via Large-Scale Social Media,” Special Session on Intelligent Data Mining, IEEE International Conference on Big Data (Big Data), Washington, DC, December 2016. Haofu Liao, Yuncheng Li, Tianran Hu, and Jiebo Luo, “Inferring Restaurant Styles by Mining Crowd Sourced Photos from User-Review Websites,” IEEE International Conference on Big Data (Big Data), Washington, DC, December 2016. Yu Wang, Yang Feng, Jiebo Luo, "Pricing the Woman Card: Gender Politics in 2016 US Presidential Election", Workshop on Applications of Big Data in Computational Social Science, IEEE International Conference on Big Data (Big Data), Washington, DC, December 2016. Yu Wang, Yang Feng, Xiyang Zhang, and Jiebo Luo, “Inferring Voter Preferences behind Brexit,” Workshop on Application of Big Data for Computational Social Science, IEEE International Conference on Big Data (Big Data), Washington, DC, December 2016. Yang Feng, Jiebo Luo, "When Do Luxury Cars Hit Road? Findings by A Big Data Approach", Workshop on Applications of Big Data in Computational Social Science, IEEE International Conference on Big Data (Big Data), Washington, DC, December 2016. Tianran Hu, Ruihua Song, Xing Xie, Jiebo Luo, "Mining Shopping Patterns for Divergent Urban Regions by Incorporating Mobility Data", ACM International Conference on Information and Knowledge Management (CIKM), Indianapolis, IN, October 2016. Zhishen Pan, Kevin Chi, Timothy Dye, Jiebo Luo, "Towards Understanding How News Coverage Affect Public Perception During Epidemic Outbreaks", International Conference on Social Computing, Behavioral-Cultural Modeling & Prediction and Behavior Representation in Modeling and Simulation (SBP-BRiMS), Washington DC, June 2016. Tianran Hu, Haoyuan Xiao, Jiebo Luo, Thuy-vy Thi Nguyen, “What the Language You Tweet Says About Your Occupation,” AAAI International Conference on Weblogs and Social Media (ICWSM), Cologne, Germany, May 2016. Yu Wang, Yuncheng Li, Richard G. Niemi, Jiebo Luo, “To Follow or Not to Follow: Analyzing the Growth Patterns of the Trumpists on Twitter,” AAAI International Conference on Weblogs and Social Media (ICWSM), Workshop on Social Media in the Newsroom, Cologne, Germany, May 2016. Tianran Hu, Adam Sadilek, Henry Kautz, and Jiebo Luo, “Home Location Inference from Sparse and Noisy Data: Models and Applications,” IEEE International Conference on Data Mining (ICDM), Workshop on Social Multimedia Data Mining, Atlantic City, December 2015. 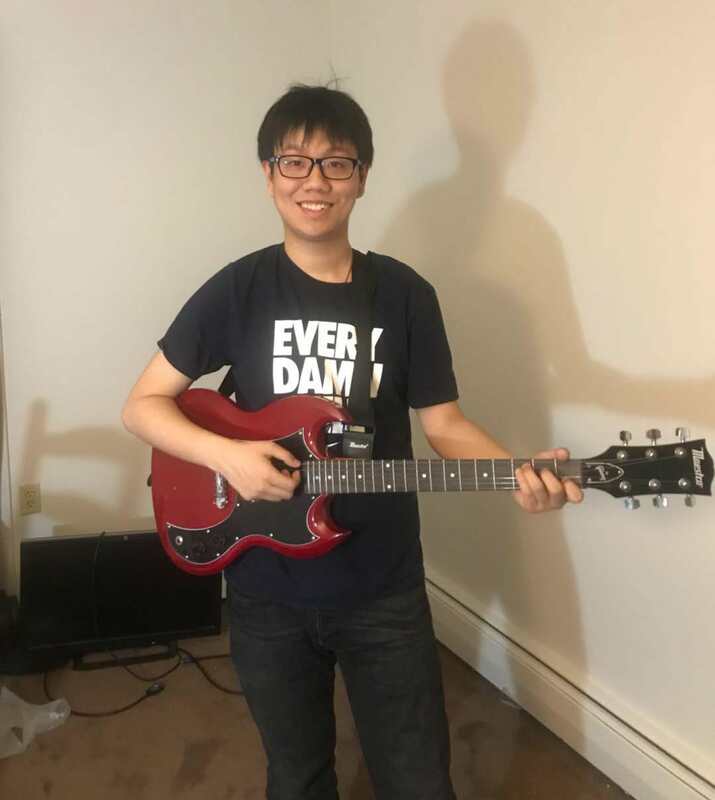 Danning Zheng, Tianran Hu, Quanzeng You, and Jiebo Luo, "Towards Lifestyle Understanding: Predicting Home and Vacation Locations from User’s Online Photo Collections," AAAI International Conference on Weblogs and Social Media (ICWSM), May 2015. Simon Weber, Jiebo Luo, “What Makes An Open Code Popular in Github”, IEEE International Conference on Data Mining (ICDM), Workshop on Software Data Mining, December 2014. Andrew Nocka, Danning Zheng, Tianran Hu, Jiebo Luo, "Moneyball for Academia: Towards Measuring and Maximizing Faculty Performance and Impact," IEEE International Conference on Data Mining (ICDM), Workshop on Domain Dependent Data Mining, December 2014. Danning Zheng, Tianran Hu, Quanzeng You, and Jiebo Luo, "Inferring Home Location from User's Photo Collections based on Visual Content and Mobility Patterns," ACM Multimedia Conference, Workshop on Geotagging in Multimedia (GeoMM), November 2014. Yuncheng Li, Jiebo Luo, Tao Mei, "Personalized Image Recommendation for Web Search Engine Users", IEEE ICME, July 2014. Ge Ma and Jiebo Luo, "Is A Social Picture Worth 1000 Votes? Analyzing the Sentiment of Election Related Photos," IEEE ICME, July 2013. Xin Jin, Jie Yu, Jiawei Han, Jiebo Luo, “Reinforced retrieval in image-rich information networks via integration of link and content based similarities,” IEEE Transactions on Knowledge Discovery and Engineering, 25(2): pp 448-460, Feb. 2013. Xin Jin, Cindy Lin, Jiebo Luo, Jiawei Han, “SocialSpamGuard: A Data Mining-based Spam Detection System for Social Media Networks,” Demo Paper, International Conference on Very Large Data Bases (VLDB), Seattle, WA, August 2011. Xin Jin, Chi Wang, Jiebo Luo, Jiawei Han, “LikeMiner: A System for Mining the Power of ’Like’ in Social Media Networks,” Demo Paper, International Conference on Knowledge Discovery and Data Mining (KDD), San Diego, CA, August 2011. Zhijun Yin, Liangliang Cao, Jiawei Han, Jiebo Luo, and Thomas Huang, “Diversified Trajectory Pattern Ranking in Geo-tagged Social Media,” SIAM Conference on Data Mining (SDM), Mesa, AZ, April 2011. Jie Yu, Xin Jin, Jiawei Han, Jiebo Luo, “Collection-based sparse label propagation and its application to social group suggestion from photos,” ACM Transactions on Intelligent Systems and Technology, 2(2): , February 2011. Wei-An Lin*, Haofu Liao*, Cheng Peng, Xiaohang Sun, Jingdan Zhang, Jiebo Luo, Rama Chellappa, S. Kevin Zhou, “DuDoNet: Dual Domain Network for CT Metal Artifact Reduction,” IEEE Conference on Computer Vision and Pattern Recognition (CVPR), Long Beach, CA, June 2019. Haofu Liao, Wei-An Lin, Jiarui Zhang, Jingdan Zhang, Jiebo Luo, S. Kevin Zhou, “Multiview 2D/3D Rigid Registration via a Point-Of-Interest Network for Tracking and Triangulation,” IEEE Conference on Computer Vision and Pattern Recognition (CVPR), Long Beach, CA, June 2019. S Weisenthal, C Quill, J Luo, H Kautz, S Farooq, M Zand, "2416: A machine learning pipeline to predict acute kidney injury (AKI) in patients without AKI in their most recent hospitalization," Journal of Clinical and Translational Science 1 (S1), 17-18, 2018. Haofu Liao, Zhimin Huo, James Sehnert, Kevin S, Zhou, Jiebo Luo, “Adversarial Sparse-View CBCT Artifact Reduction,” International Conference on Medical Image Computing and Computer Assisted Intervention (MICCA), Granada, Spain, September 2018. Haofu Liao, Yucheng Tang, Gareth Funka-Lea, Jiebo Luo, Kevin S. Zhou, “More Knowledge is Better: Cross-Modality Volume Completion and 3D+2D Segmentation for Intracardiac Echocardiography Contouring,” International Conference on Medical Image Computing and Computer Assisted Intervention (MICCA), Granada, Spain, September 2018. Haofu Liao, Addisu Mesfin, Jiebo Luo, “Joint Vertebrae Identification and Localization in Spinal CT Images by Combining Short- and Long-Range Contextual Information,” IEEE Transactions on Medical Imaging 37(5): 1266-1275, 2018. Xuefeng Peng, Jiebo Luo, Catherine Glenn, Li-Kai Chi, and Jingyao Zhan, “Sleep-deprived Fatigue Pattern Analysis using Large-Scale Selfies from Social Media,” Special Session on Intelligent Data Mining, IEEE Big Data Conference, Boston, MA, December 2017. Yiheng Zhou, Jingyao Zhan and Jiebo Luo, “Predicting Multiple Risky Behaviors via Multimedia Content,” International Conference on Social Informatics (SocInfo), Oxford, England, September 2017. Xitong Yang, Jiebo Luo, “Tracking Illicit Drug Dealing and Abuse on Instagram using Multimodal Analysis,” ACM Transactions on Intelligent Systems and Technology, 8(4): 58:1-58:15, August 2017. Xuefeng Peng and Jiebo Luo, “Large-Scale Sleep Condition Analysis Using Selfies from Social Media,” International Conference on Social Computing, Behavioral-Cultural Modeling & Prediction and Behavior Representation in Modeling and Simulation (SBP-BRiMS), Washington, DC, July 2017. Jianbo Yuan, Chester Holtz, Tristram H Smith, Jiebo Luo, "Autism Spectrum Disorder Detection from Semi-Structured and Unstructured Medical Data," EURASIP Journal on Bioinformatics and Systems Biology, 2017:3, February 2017. Yiheng Zhou, Catherine Glenn, Jiebo Luo, “Understanding and Predicting Multiple Risky Behaviors from Social Media,” AAAI 2017 Joint Workshop on Health Intelligence, San Francisco, CA, February 2017. Haofu Liao, Jiebo Luo, “A Deep Multitask Learning Approach to Skin Lesion Classification,” AAAI 2017 Joint Workshop on Health Intelligence, San Francisco, CA, February 2017. Haofu Liao, Yuncheng Li, Jiebo Luo, "Skin Disease Classification versus Skin Lesion Characterization: Achieving Robust Diagnosis using Multi-label Deep Neural Networks", International Conference on Pattern Recognition (ICPR), Cancun, Mexico, December 2016. Chunlan Huang, Vincent P. Ness, Xiaochuan Yang, Hongli Chen, Jiebo Luo, Edward B Brown and Xinping Zhang, “Spatiotemporal Analyses of Osteogenesis and Angiogenesis via Intravital Imaging in Cranial Bone Defect Repair,” Journal of Bone and Mineral Research, available in PubMed. Junhuan Zhu, Jiebo Luo, Yousuf Khalifar, "Computerized Grading of Cataract Surgery from Videos," Machine Vision and Applications, 26(1): 115-125, 2015. Yang Cong, Ji Liu, Jiebo Luo, "Deep Sparse Feature Selection for Computer Aided Endoscopy Diagnosis," Pattern Recognition, 48(3): 907-917, 2015. Tianli Yu, Jiebo Luo, Narendra Ahuja, "Search strategies for shape regularized active contour," Computer Vision and Image Understanding, 113(10): 1053-1063, 2009. Hui Luo, Jiebo Luo, "Robust online orientation correction for radiographs in PACS environments," IEEE Transactions on Medical Imaging, 25(10): 1370-1379, 2006. 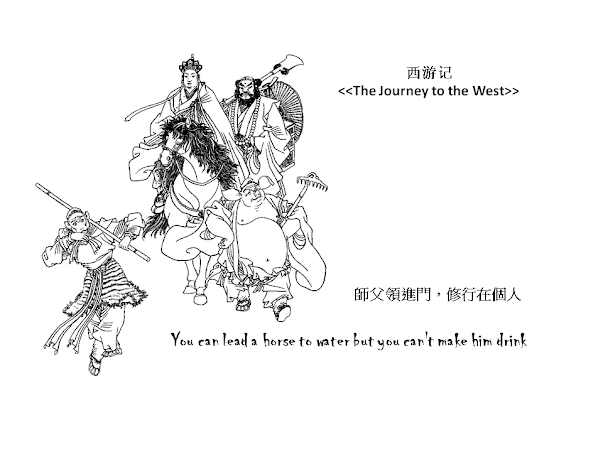 Tianran Hu, Anbang Xu, Jiebo Luo. “Touch Your Heart: A Tone-aware Chatbot for Customer Care on Social Media,” The ACM CHI Conference on Human Factors in Computing Systems (CHI), Montreal, Canada, April 2018. Vivek K. Singh, Jiebo Luo, Dhiraj Joshi, Phoury Lei, Madirakshi Das, Peter Stubler, "Reliving on demand: a total viewer experience," ACM international conference on Multimedia, November 2011. Dhruv Batra, Adarsh Kowdle, Devi Parikh, Jiebo Luo, and Tsuhan Chen, "iCoSeg: Interactive Co-segmentation of Objects in Image Collections," IEEE Conference on Computer Vision and Pattern Recognition (CVPR), San Francisco, CA, June 2010. Young Chol Song, Henry Kautz, James Allen, Mary Swift, Yuncheng Li, Jiebo Luo, "A Markov Logic Framework for Recognizing Complex Events from Multimodal Data," ACM International Conference on Multimodal Interaction, Sidney, Australia, December 2013. With the huge successes of deep learning in computer vision, many vision problems are seemingly being solved. Where do we go from here? We will discuss a few directions where computer vision can be either further pushed to deal with data scarcity and data noise, or synergistically integrated with other disciplines such as NLP and data mining, to continue to advance the frontiers of artificial intelligence. With the recent rapid advances in artificial intelligence, machine learning and data science, a promising domain is healthcare and wellness management. In this talk, we discuss two directions: first, leveraging electronic medical data including unstructured forms and videos to build robust algorithms for disease diagnosis and medical training, and second and more interestingly, utilizing social media data to detect and alter user unhealthy behaviors such as drinking, smoking, drug-use, and eating disorder. It is also intriguing how these two directions can be combined synergistically, and further to implement effective and innovative intervention. Two of the top 10 largest companies by market cap in the world, namely Amazon and Alibaba, are e-commerce companies that are enjoying huge success. At the same time, computer vision and artificial intelligence are making strides in both technologies and applications. What power can be unleashed when computer vision meets e-commerce. We will present a few recent advances in user profiling, behavior analytics, product recommendation, as well as deep sales data mining. Video has become ubiquitous on the Internet, TV, as well as personal devices. Recognition of video content has been a fundamental challenge in computer vision for decades, where previous research predominantly focused on recognizing videos using a predefined yet limited vocabulary. Thanks to the recent development of deep learning techniques, researchers in multiple communities are now striving to bridge videos with natural language in order to move beyond classification to interpretation, which should be regarded as the ultimate goal of video understanding. We will present recent advances in exploring the synergy of video understanding and language processing techniques, including video-language alignment, video captioning, and video emotion analysis. With the recent successes in using deep learning techniques to solve computer vision problems, the performances of the state of the art algorithms in many areas, especially object recognition, have been dramatically improved. Researchers are now inspired to address yet more challenging problems, such as associating pictures with aesthetics, and have also reported progress. One remaining final frontier in extracting meaning from images is related to the recognition of emotions that images arouse in humans. The key challenges are the loose and highly abstract nature of semantics associated with emotions. We will discuss how to effectively employ a data-intensive approach to emotion recognition in images, as well as multimedia that include both image and text information. From the abundance of personal records, public data, and user-generated social multimedia contents, rich information can be inferred regarding user profile, user interests, user sentiment, user behaviors, user mobility, user lifestyles, as well as user physical and mental health. We will present a few recent advances in this important arena. With social media being increasingly utilized to boost political campaigns, Donald Trump looms large in the 2016 US Presidential Election. With the ability to track the Twitter followers of the major candidates in the running, we conduct a series of in-depth, fine-grained, data-driven analyses, including 1) Will Sanders Supporters Jump Ship for Trump? Fine-grained Analysis of Twitter Followers?, 2) Pricing the Woman Card: Gender Politics between Hillary Clinton and Donald Trump, and 3) Voting with Feet: Who are Leaving Hillary Clinton and Donald Trump? These studies represent a new paradigm for studying political campaigns and provide valuable insight at unprecedented scales and in real-time. We live in the age of big data. The biggest big data is big visual data, which includes images and other associated information. The biggest challenge is to develop effective computational methods for making sense of such massive visual data. Unlike text which is clean, segmented, compact, one dimensional and indexable, visual content is noisy, unsegmented, high entropy and multidimensional. In this talk, we present a few recent advances towards the ultimate goal of using big data, in particular large-scale and rich multi-modality data, to achieve robust intelligence in order to understand and improve life in terms of healthcare, well-being, politics, business, infotainment, and so on. A recent trend in computer vision is driven by images and video generated by heterogeneous and multi-perspective visual sensing networks. We present a few examples of research along this line. First, we will present an interesting framework for event recognition. With GPS information, we obtain satellite images corresponding to picture locations and investigate their novel use to recognize the picture-taking environment. We then combine this inference with classical vision-based event detection methods and demonstrate the synergistic fusion of the two approaches. Second, to determine the viewing direction for geotagged photos, we utilize both Google StreetView and Google Earth satellite images. Third, we explore using phone-captured images for localization as it contains more context information than the embedded sensory GPS coordinates. We then build applications to enable people to enjoy ubiquitous location-based services (LBS) using their phones. Fourth, we leverage crowd-sourced photos to remove unwanted bystanders from tourist photos taken at popular attractions and measure air pollution in major cities in China. Furthermore, given a new source of visual data from public webcams deployed in urban environments, we will present some ongoing work on crowd analytics using such data. Social multimedia can be exploited as a powerful new way of sensing social behaviors and activities from user-generated social multimedia contents, including building user profiles from a user's personal photo collection, inferring user personality traits from social media language usage, producing popular and diverse tourism routes from crowd-sourced geo-tagged photos, extracting user sentiment from both textual and visual information in social media, monitoring risky behaviors such as teenage drinking and drug abuse, and forecasting election outcome based on image sharing activities and user demographics extracted using computer vision techniques. Finally, we will share thoughts on current challenges and future directions. - Class of 2018 students: Please use my URCS email to set up appointments with me. Applicants are expected to have strong skills in both programming and mathematics, as well as research experience in closely related areas. Grades alone won't cut it. "I worked on a gazillion of projects" (but have no evidence) is a no-no. Research publications in ranked venues of computer vision, machine learning, or data mining is a plus (and the only reason you need to contact me directly). Sorry but generic spams will be ignored. - Prospective Visitors (Faculty/PhD Student): You must have your advisor/mentor vouch for you, if you have not personally worked with me. - Postdoc Applicants: There is NO opening at present. - Reference Letter Seekers: You must have your advisor/mentor vouch for you, if you have not personally worked with me. - Internship Seekers: We do NOT host summer interns unless there is a pre-existing arrangement. Curious how I evalaute students? Be the best you can be. You can be the best.